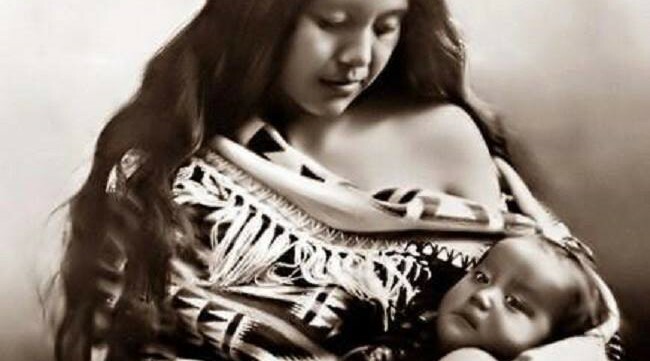 In this report, I will discuss the diminishment of access to information for native female populations of traditional cultural / spiritual values regarding reproduction, healthy pregnancies, and child-birth. As well as cutting the ties to cultural education for young native females (and males/but not discussed herein) directly addressing gender-related socio-cultural information. Today young native females in Lakota country find they are alienated from the cultural concepts of reproduction and childbirth practices that once were available from the elder women within their family groups. The path of traditional information is fractured, if not completely broken in Lakota country. Also access to traditional midwifery is not available in many areas. Young women find themselves (by necessity) having to deal with doctors and hospitals that are a part of the system of oppression that conquered their people and that had forced assimilation practices upon their elders. They have also heard about Eugenics Policies to eradicate native populations, by means of the sterilization policies enacted in the 70s through Indian Health Services. Due to historical trauma, these young women find themselves re-living much of post-traumatic effects during the pregnancy time-period and at birth. The trauma affects the decision-making process as well. Initial contact with European colonists was tenuous at best. The European white settlers had asserted its dominance from the onset of settlement. Through the lens of the European settlers, these indigenous people were inferior, only due to the differences in cultural systems of governance. Almost immediately the settlers asserted dominance and control over tribes in which they had initially contacted. The tribes were left with two choices: to conform or to resist. The colonists viewed the encountered indigenous people as an inferior / savage group. This view was based upon the fact the tribes were not Christian (hence “savages”) and technologically not as advanced as their own (incoming) settler populations. The lens of the white populace was Eurocentric/ethnocentric due differences in ideological concepts such as the differences in view, regarding ownership of land. The indigenous people did not cultivate the land in the same manner as the Europeans settlers. The settlers could not understand the concept of joint stewardship of lands by the native populous. In their ethnocentric mental lens white settlers conceived this ideology as a waste of good farming land, and of course their ideals were superior in that the land would produce food. Land to the settler, was a resource a non-movable commodity. From this mental idea of superiority, the desire for lands in which to cultivate both their crops and cattle, the European settlers began to broker deals with nearby tribes through treaties . If they could not gain the land through a treaty, they forcibly took what they desired. Next week: Part 2 – The issues that affect Lakota Native women during pregnancy and childbirth in regards to: Racism, Sexism, and Oppression. I was very happy to discover this great site. I wanted to thank you for ones time for this particularly fantastic read!! I definitely liked every part of it and I have you bookmarked to see new things in your blog. Lurecia: I hope you do return! I have some great up-coming posts on childbirth!